Many countries use a post-enumeration survey to adjust the raw census counts. This works in a similar manner to capture-recapture estimation for animal populations. In census circles this method is called dual system enumeration (DSE). 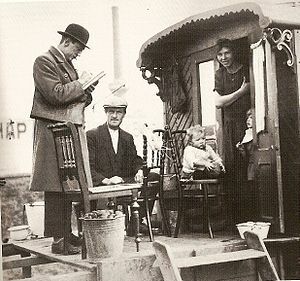 A sample of households are visited by interviewers who record the details of the household as at census day. These data are then matched to census records and the number of people missed can be estimated by considering the number missed in the census or survey but counted in the other. This way counts can be adjusted for non-response varying between different demographic groups. An explanation using a fishing analogy can be found in "Trout, Catfish and Roach..."  which won an award from the Royal Statistical Society for excellence in official statistics in 2011. 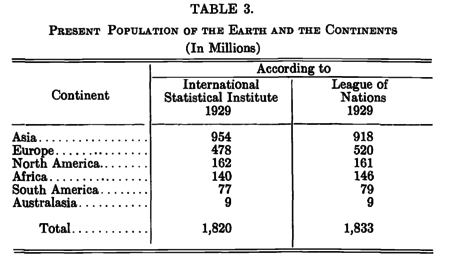 "The unique advantage of the census is that it represents the entire statistical universe, down to the smallest geographical units, of a country or region. Planners need this information for all kinds of development work, including: assessing demographic trends; analysing socio-economic conditions;  designing evidence-based poverty-reduction strategies; monitoring and evaluating the effectiveness of policies; and tracking progress toward national and internationally agreed development goals." In the nineteenth century, the first censuses collected paper enumerations that had to be collated by hand so the statistical uses were very basic. The government owned the data and were able to publish statistics themselves on the state of the nation. Uses were to measure changes in the population and apportion representation. Population estimates could be compared to those of other countries. There are a lot of politics that surround the census in many countries. In Canada in 2010 for example, the government under the leadership of Stephen Harper abolished the mandatory long-form census. The decision to cut the long-form census was a response to protests from some Canadians who resented the personal questions. The long-form census was reinstated by the Justin Trudeau government in 2016. Now, census data are published in a wide variety of formats to be accessible to business, all levels of governance, media, students and teachers, charities and any citizen who is interested; researchers in particular have an interest in the role of Census Field Officers (CFO) and their assistants. Data can be represented visually or analysed in complex statistical models, to show the difference between certain areas, or to understand the association between different personal characteristics. Census data offer a unique insight into small areas and small demographic groups which sample data would be unable to capture with precision. Although the census provides a useful way of obtaining statistical information about a population, such information can sometimes lead to abuses, political or otherwise, made possible by the linking of individuals' identities to anonymous census data. This consideration is particularly important when individuals' census responses are made available in microdata form, but even aggregate-level data can result in privacy breaches when dealing with small areas and/or rare subpopulations. Typically, census data are processed to obscure such individual information. Some agencies do this by intentionally introducing small statistical errors to prevent the identification of individuals in marginal populations;  others swap variables for similar respondents. Whatever measures have been taken to reduce the privacy risk in census data, new technology in the form of better electronic analysis of data poses increasing challenges to the protection of sensitive individual information. This is known as statistical disclosure control. Another possibility is to present survey results by means of statistical models in the form of a multivariate distribution mixture. The statistical information in the form of conditional distributions ( histograms) can be derived interactively from the estimated mixture model without any further access to the original database. As the final product does not contain any protected microdata, the model based interactive software can be distributed without any confidentiality concerns. Another method is simply to release no data at all, except very large scale data directly to the central government. Different release strategies between government have led to an international project ( IPUMS) to co-ordinate access to microdata and corresponding metadata. Such projects also promote standardising metadata by projects such as SDMX so that best use can be made of the minimal data available. One of the world's earliest preserved censuses  was held in China in AD 2 during the Han Dynasty, and is still considered by scholars to be quite accurate. The population was registered as having 57,671,400 individuals in 12,366,470 households. Another census was held in AD 144. The word "census" originated in ancient Rome from the Latin word censere ("to estimate"). The census played a crucial role in the administration of the Roman Empire, as it was used to determine taxes. With few interruptions, it was usually carried out every five years. It provided a register of citizens and their property from which their duties and privileges could be listed. It is said to have been instituted by the Roman king Servius Tullius in the 6th century BC,  at which time the number of arms-bearing citizens was supposedly counted at around 80,000. The 6 AD " census of Quirinius" undertaken following the imposition of direct Roman rule in Judea was partially responsible for the development of the Zealot movement and several failed rebellions against Rome that ended in the Diaspora. The 15-year indiction cycle established by Diocletian in AD 297 was based on quindecennial censuses and formed the basis for dating in late antiquity and under the Byzantine Empire. ^ Kukutai, Tahu (2014). "Whither the census? Continuity and change in census methodologies worldwide, 1985–2014". Journal of Population Research. 32: 3–22. doi: 10.1007/s12546-014-9139-z. ^ Biljecki, F.; Arroyo Ohori, K.; Ledoux, H.; Peters, R.; Stoter, J. (2016). "Population Estimation Using a 3D City Model: A Multi-Scale Country-Wide Study in the Netherlands". PLOS ONE. 11 (6): e0156808. doi: 10.1371/journal.pone.0156808. PMC 4890761. PMID 27254151. ^ Corcos, Nick (2017). "Excavations in 2014 at Wade Street, Bristol - a documentary and archaeological analysis". Internet Archaeology (45). doi: 10.11141/ia.45.3. ^ Missiakoulis, Spyros (2010). "Cecrops, King of Athens: the First (?) Recorded Population Census in History". International Statistical Review. 78 (3): 413–418. doi: 10.1111/j.1751-5823.2010.00124.x. ^ Yoon, H. (1985). "An early Chinese idea of a dynamic environmental cycle". GeoJournal. 10 (2): 211–212. doi: 10.1007/bf00150742. ^ al-Qādī1, Wadād (July 2008). "Population Census and Land Surveys under the Umayyads (41–132/661–750)". Der Islam. 83 (2): 341–416. doi: 10.1515/ISLAM.2006.015.